• Alloy Steel – Quenched and Tempered. • Pin locking requires no special tools. 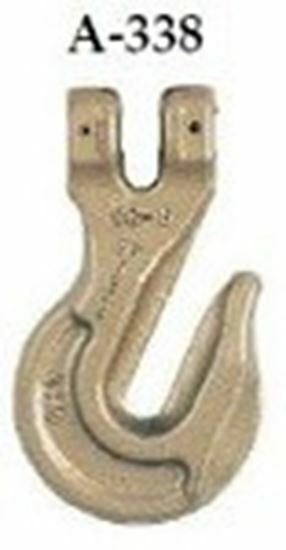 • The use of S-314A Clevis Grab Hook will result in a 20 percent reduction in chain capacity. When used to hook back to chain leg to form a choker, the angle of the choke must be 120 degrees or greater. When used as a chain shortener, minimize twist of chain and ensure chain is fully engaged.